This is so pretty! Love your butterfly! Beautiful card. I love love love that butterfly. Beautiful card Seongsook! 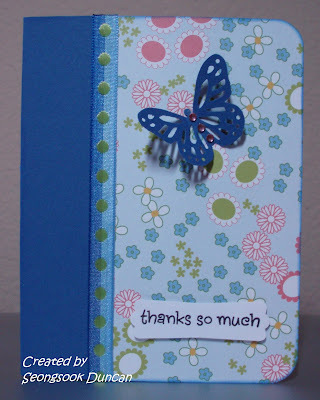 I love the paper you used and your butterfly is gorgeous! I love how the blue border along the edge give this card the look of a book almost. very nice!